One of the more interesting philosophical arguments Plato and his School were involved in was whether a newborn child was conscious of certain things at birth, whether it had intelligence or even knowledge. For some the idea that a child could know nothing of the world it had been born into was inconceivable: they believed that the soul was immortal, and each newborn child was the reincarnation of a previous person or being, and brought the complete knowledge of that life, and all previous lives, with it into the new one. They explained the fact that this knowledge cannot be discovered in children by claiming that it was forgotten at the moment of birth: it is still there in the child, but buried so deep as to be useless and irretrievable. There were others who argued that a newborn child brought nothing into the world, it was innocent of all crimes and bad thoughts, but also free from bias, prejudice and, more especially, any form of worldly knowledge. Each birth was a completely new start for a new life form. If we take this as our starting point, we are faced with two possibilities: a child is born with a form of innate knowledge of life and the world and grows, or evolves, into an adult with this knowledge in them; a child is born as a clean slate with nothing of this world in them, and is formed by its surroundings, those people close to it and the education it receives. Equate this with your recent thoughts on thinking and instinct. My own personal view is that a child is born with nothing more than an instinct to survive. It knows nothing of its surroundings, other than what is immediately in front of it, as most children are born effectively blind and their eyesight develops over the first few weeks of their lives. This desire to survive is the strongest need within them, and makes some almost insufferable with their demands for food and attention. As they grow and develop, each child learns how far it can go with other people, and builds either a strong or a weak character, either overbearing and demanding, or timid and withdrawing. And, of course, everything in between. Everyone is an individual, and their upbringing, the environment in which they grow, is as individual as they are, so with the influences which go to make their character. It is this upbringing which decides how a person is likely to react in the future, whether they will be overly friendly, or exceptionally introvert: how they have been treated by other people how they have reacted to that treatment will make the difference. […] we are more corrupted by instinct or thought. Is it possible for a person to corrupt themselves? It can be said, and I believe that this is also correct, that we are alone responsible for our actions: we make the decision of the direction we wish to take, whether it be one accepted by society and our fellow man or not. We allow ourselves to be tempted, to be convinced by other people or a perceived course of events, by extremes or necessity but, in the end, we make our own decision for or against a certain action. We don’t make this decision without external influence at any time: our entire lives are made up of examples from other people who we either know or have come across by reading the news, scrolling through social media, or even word of mouth. One of the new methods of defence used in courts of law today is that a young person had a broken childhood or, even worse as far as I am concerned, is missing all empathy or knowledge of what is right and what is wrong because their parents were so rich, they had no need of a social conscience. Both of these are aspects of external influence: the people involved have been educated by their parents, by the educational system, by those in their social circles to behave, to think in such a manner. They have become corrupt, but have not corrupted themselves. Thinking is, as you say, a double-edged sword. On the one side we have all that we have learned – good and bad – throughout our lives which has been character building. We have all the experiences of our lives, those times when we have won, those when we have lost. We know – at least, most of us do – what is right and what is wrong both on a social and on a moral level. On the other hand, we have this strange belief that, as an individual, we are better than everyone else. Where all those other people have failed, we will succeed. We believe that we can think through every single eventuality, and beat whoever is set against us without even knowing who they are, what abilities or experiences they have. I suppose that, in a manner of speaking, you could call this the corruption of self, in that we rate our abilities far higher than they truly are, and downgrade the abilities of everyone else, regardless of whether those others have more experience, a higher intelligence level or are simply better at what they do than other people. There is also the possibility that, through thinking, we reach a different conclusion, and I am sure that this is the case for many people. We appreciate that our own abilities have their limits, and, whilst prepared to test those limits, also appreciate that they can only be expanded to a certain extent. The possibility of something – or someone – from outside our immediate environment providing the ultimate obstacle to our success, to the expanding or pushing out of our limits, remains, but is not always taken into consideration. That there are different groupings of people within the prison system, predominantly along ethnic lines, is something Hollywood has been playing up for many, many years: it is seen not as a means of ensuring safety or of creating some form of acceptable social order, but as a means of intimidation or power mongering. It is presented as unique to the prison system and as a threat; but that, of course, is merely one of the devices Hollywood uses to up the appeal of their products, to ensure that a certain level of excitement is achieved without any real effort. That people should move towards their own kind, or what is considered their own, does make a certain amount of sense, and does not necessarily have anything to do with power-broking or gangs. For many there is a better level of understanding, through similar ethnic roots if nothing else, and also historical precedent. Immigrants to many countries have tended to gravitate to certain areas where they know that others are living, where they know that their own traditional customs and beliefs will be more than just tolerated. This was most certainly the case in the England of my youth, where certain parts of London, Birmingham, Manchester and other major cities were known to be populated by immigrants, or the children and grandchildren of immigrants, from certain areas. We had small enclaves of Pakistani families, of Indians, of families who had fled the regime in Uganda. But we also had, as do many other countries, areas defined by income and social status. I see it here in Germany to a far lesser extent, but that is thanks to the integration policies of successive governments: those seeking political or economic asylum tend to be sent out to different areas of the country where they are looked after by Germans rather than, initially, people from their own countries. After a while, though, they all pick up contacts and make friends within their own, but not to the extent of forming enclaves, ghettos or setting up areas which are recognised as being Asian, Indian, Arabic or Turkish. Integration is achieved through removing them from what they have previously known, and confronting them with this new society so that they are forced to learn the language, and many of the customs and habits, as quickly as possible. They cannot rely on the good offices of other people in their ethnic community to cover for them, to translate, to do all the official and government work for them. Whether they would have done this of their own free will and accord is another matter entirely. You have seen a marvellous opportunity to play basketball, to jump over the ethnic lines, which has nothing to do with integration, with joining one specific group or another, but everything to do with social pleasure. Sport, in the style of the original Olympics, should be an area where all can meet on the same level playing field and partake without fear, without prejudice, without a second thought but for the pleasures of the sport itself. And it also shows that there are other ways of getting on with people than by gaining their respect through violence. As you say, there is no end to violence once it has begun: each new generation, each new member will feel the necessity of rescuing the honour of the previous generation, or the obligation of proving themselves by one means or another to gain acceptance. It is similar to the Honour Killings which span generations: one of your ancestors killed one of mine, and now it is my turn to kill one of yours. Once begun, it is almost impossible to end, and the only way out is to remove oneself from the area of danger which, as you appreciate, often places you in a completely different situation, one with its own dangers but without the knowledge that there are those who will stand with you in times of need. In your situation I suspect it is almost impossible to walk alone, to be a hermit or someone who remains outside of the politics of race, religion, groupings. I have the advantage that I can literally close my front door and leave the rest of the world outside, that I have no need to meet up with and join those of similar ethnic origin to myself. Of course, I must admit that much of this is thanks to the advances made in modern technology, where I can be constantly in touch with those who speak the same language and have the same history as I do, no matter where I am should I so desire. There is, though, no strong group of English-speaking people here; a few who were born and bred in English-speaking countries, but no more than that. I cannot say that I miss the umbrella if having other people of similar origins around me, the difference here being that there is no need. In certain situations, as you appreciate better than most, such a level of protection – or whatever you may wish to call it – is a good thing and helps to keep the status quo as much as anything. But there will always be outbreaks, people who split with the accepted, or those who believe that they can just do whatever they wish because their group is better organised, larger or more ‘respected’ than any other, and they force the generally peaceful social order back into danger. As writers – and I include poets, novelists and letter writers as we all create through the written word – we should be able to be both a part of a group and stand on its outer rim to look in and outwards. We need to be able to assess and not just accept, otherwise our writing becomes bland and merely a reiteration of everything that has been said before, it becomes group-speak and worthless. As writers we wish to speak to those we have never met, can often only imagine, and inspire them. We want to try and get some form of reaction, even when we do not get to see it. We want to be able to sneak into their lives and be a part of them in one way or another, even if only for a few moments of time. If we cannot write from the outside looking in, what are we going to be able to say? We become Yes Men. We become a part of the mass which follows, which flows along without an individual thought, without inspiration, without any factor which makes us stand apart. And what would our writing be if we were exactly the same as everyone else and only had experience within this one, closed group? […] off the court, I’m imprisoned both physically and mentally. I’m afraid that I tend to disagree with you to a certain extent. I am sure that there are many people around you who are both physically and mentally imprisoned, but I suspect that you are not one of them, and I believe you should not see yourself as one of them. Being imprisoned mentally is the final act before destruction, as far as I am concerned: it s a sign that you have given up and are not prepared to think any more; that you will not allow your imagination freedom t flow wherever it will, to embrace whatever it finds there. You also have the ability, through your basketball games, to remove the shackles of the daily routine and, effectively, escape – at least within your mind – the imprisonment of your body. It may not seem much, but on the basketball court you have the freedom of movement your soul desires as well as the ability to make decisions which have an outcome, which bind you with others in a complete and flowing action. You are physically behind bars, but your mind, your thoughts, can fly wherever they will without any form of hindrance. Some of the finest writers of past generations wrote under extreme adversity. They were banned, assaulted, expelled. Their works were burned or placed on a censorship list. And yet, despite this adversity, despite being hounded by authority – political or religious – they wrote and reached their audience, some from their homes, having their works smuggled out to freedom, some in exile. This is not a thing of the past, it is not just Galileo Galilei and Thomas Mann, Alexander Solzhenitsyn or any of the other names many of us know and respect, but many minor writers and thinkers of our modern times. Somehow they still manage to get their words out into the public arena, to those who wish to read, to understand and to think. Pilgrim’s Progress was written by John Bunyan while he was imprisoned in Bedfordshire for practising his religion, and has never been out of print since it was first registered in the Stationer’s Register back in 1677, and officially published in 1678. Many regimes have tried, but few will ever be able to imprison a mind which allows itself the freedom of thought. The task of the modern education is not to cut down jungles, but to irrigate deserts. C. S. Lewis had many ideas which I do not necessarily agree with, but this one sentence comes close to covering my thoughts on education. I have always seen education as a formal start to the road which we take in life: it is something which gives us the foundations upon which we should build in order to advance ourselves. The idea that what we learn in the classroom is all we need is a fallacy; the fact that we do not learn what we need is a fact. Too often children, and older students, are being taught what they need to know to pass a specific examination, and no more than that. They are not being taught to think for themselves, to explore and discover and, sadly it is also often the case, when they do move outside the strict guidelines of a curriculum and research further into a specific subject, they are impeded. Then, when it comes to that time when thought, research, discovery are necessary, they do not have the ability simply because it has been trained out of them. Many of the works I see from people who are going for their higher degrees, or have succeeded in attaining one, are of a far lower standard than those published fifty or sixty years ago. Works are filled with quotations – sometimes forgetting that they are references to other people’s work and appearing to claim them for their own thought – but little which can be called original or even thought-provoking. It is all very well to have a good basic knowledge of a subject, but the aim should be to advance both yourself and the subject area itself into new fields though thought and discussion, research and discovery. In my own personal area of interest, philosophy, I see many articles and books coming onto the market which simply rehash what has been said and written before. Perhaps this is the true form of imprisonment: we are not being encouraged to seek out the new and, therefore, imprison ourselves within a small set of rules rather than seeing the world outside of them. The rules may well have some form of sense, within a minor area, but should never be allowed to rule our lives when it comes to education, to thought and to personal advancement. My travelling has mostly been of the same nature; living rough and wherever it was possible at low cost but with the highest level of mental gain. I seem to have spent, in my youth at least, more time living under bridges, in fields and car parks than in hotels and motels. I would have my base, in London or Paris, Berlin or Venice, knowing that I could return there, sleep and remain dry and safe at night, and spend the day time walking the streets, going to museums and art galleries, enjoying all those things which tourists pay a fortune for. In Venice I was joined by countless others, sleeping on the main concourse of the railway station, and we were woken punctually at six by the local police, so that the other tourists wouldn’t be disturbed by our presence; no hassle, no fuss, just a wake-up call. In many cities that I visit now, throughout Europe and the United States, local government have set up spikes and cordoned potential sleeping areas off to combat homelessness – clearly something which does not work, as the homes and shelters are not being created to cover the loss of an outside sleeping place – making it harder for people to just drift and experience today. In some towns, I am told, as soon as a traveller approaches the boundaries he is warned off. Even here we are being funnelled into a distinct level of learning, of experiencing, and the loss is not only ours, but that of society as a whole. When everything is regimented, what is there left to discover? 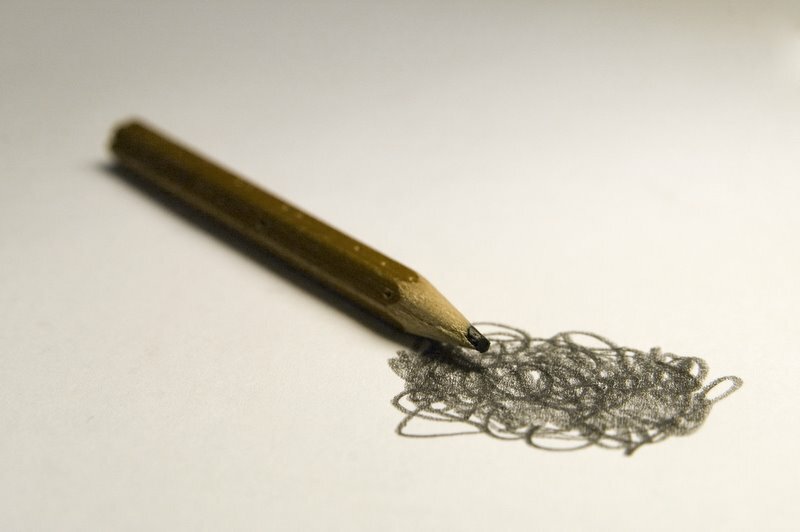 Do the mind and the pen share some instinct inexplicable to man? Or is each and every word a product of careful, untrustworthy, thought? On the one level there are the words which we write: we sit down and let our thoughts flow across the page through the medium of our pens. We do not stop to consider, but take an idea and work it through from beginning to end, no matter where it may lead us. On the other level, we have those same words and we work through them, one sentence at a time, revising and editing, perfecting so that a more coherent level of thought appears on the page. Thoughts, at level one, have never been trustworthy; they always seem to lead us to places we had no desire to go or which we did not know could be linked to an original thought. Thoughts in other people are decidedly untrustworthy, because we cannot see them and do not know what they are really thinking, unless they are an exceptionally poor poker player and let everything be read through their body language. The first level is always the best way of writing, for ourselves. It brings those thoughts out, and shows us the directions we can go in should we wish to. The first level is the way all good writers begin their works; simply letting the words flow according to the theme they have set themselves and seeing how it all comes together. The second level is then the revision, the editing, the preparing for an audience which needs to be convinced, which needs to be lead by the hand on a set and understandable journey towards a distinct and understandable destination. The first level is for you and me, for the real person. The second is for the public. Two distinct things, not exactly opposed one to the other, but vastly different.